The social networking giant's public debut has been rocky -- and not just because of technical glitches and a plummeting price. Few seem to doubt that Facebook the company will be a success. Facebook the stock might be another story. So far things haven't gone that well. 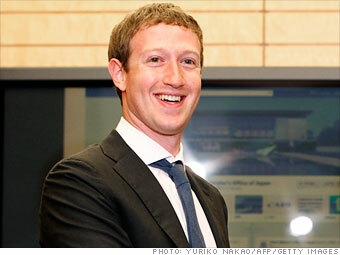 On its first full day of trading, FB fell 10% and now sits below its IPO price. It's often a bad sign when a CEO spends all his time worried about his company's stock price. Such preoccupation can lead to short-term thinking and excessive risk taking. But is the opposite any better? Here are five signs CEO Mark Zuckerberg doesn't care what happens to Facebook's stock and why that might be a problem. How does the social media giant really work? Read this story before you buy the stock.